We are a comedy podcast. A late night bar conversation about conspiracies, creatures and all things paranormal. Should the world be categorized as fiction or non-fiction? 1 skeptic. 1 believer. 1 guest. Wade Randolph (Channel 101 bio) and Willy Roberts (Channel 101 bio) are writers, actors and DIY Channel 101 legends. 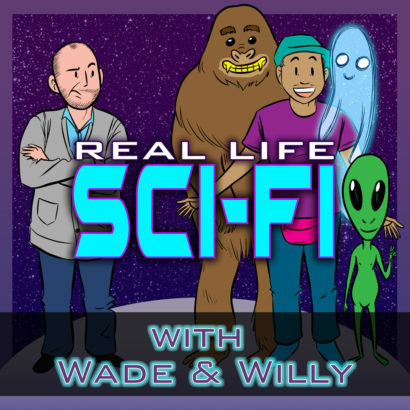 Wade is the creator of “Business” as well as a writer for Rick & Morty, and Willy has starred and performed in more Channel 101 shows then anyone in its history.